With the elucidation of the structure of the DNA molecule in 1953, a new chapter opened in our understanding of the molecular basis of heredity. We moved from discussing the inheritance of such physical characteristics as height, eye color, and blood type to a consideration of the gene and its importance in determining characteristics. In 1976, Richard Dawkins published The Selfish Gene, which argued that organisms are “robot vehicles blindly programmed to preserve the selfish molecules known as genes.” This change in thinking led to other books that ascribed various behaviors to genes. So we see books entitled Mood Genes, dealing with issues related to depression and mania; The Agile Gene, exploring the nature-nurture debate; and The God Gene, making the argument that our genes are somehow generating our religious beliefs. And we must not forget the now-discredited “gay gene” controversy. With recent discoveries in biochemistry, genetics, and other related sciences, our picture of individual genes has had to be replaced by genes interacting together to allow intricate life processes to take place. The current understanding is a complex and confusing one. We cannot clearly say exactly what a gene is, and the many steps that take place to regulate even simple biochemical processes are not yet clearly understood at all. Yanai and Lercher take this idea at least one step further. Instead of an all-inclusive “selfish gene” or a unique “god gene,” these writers argue for a system of genes that interaction with one another. At times, there are genes that collaborate and cooperate to achieve a common goal. 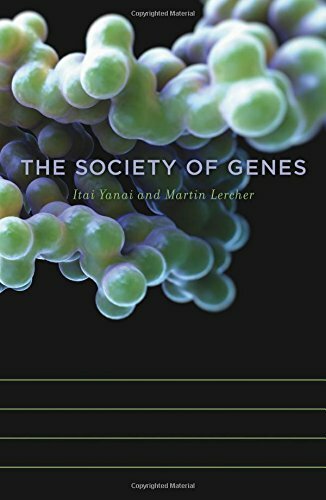 At other times, Yanai and Lercher describe gene warfare, where the different genes are in conflict with one another. Genes are sub-divided into “management” genes and “worker” genes, with significant changes in an individual as the responsibility of the “management” genes. The authors’ argument begins with a discussion of cell reproduction and the role of DNA in the transmission of information. Recent research findings show that this is an amazingly complex process, involving many individual segments of DNA. There are two major functions carried out: the production of a specific protein and the regulation of that production, either to increase the rate of manufacture or to decrease it. In each case, there are a number of switches that influence production rate. Cancer is basically a failure of the cell system to regulate production. A system can be left on in the active mode indefinitely, leading to a failure in the regulation of that process by various signal systems. Mutations in specific genes that regulate production of one or more signal systems will cause those systems either to function at a lower level of activity or not function at all. This loss of control gives rise to proliferation of specific cells that will reproduce without stopping. The failure of neighboring cells to signal to decrease or stop cell division means the cancer cell can grow with no outside control being exerted. Genes that at one time cooperated to produce normal development of the organism have now become “enemies” by failing to function in a collaborative manner for the betterment of the organism. Using this (not so) simple example as a foundation, Yanai and Lercher expand the discussion in a variety of directions, tracing ancestry of humans, looking at the development of drug resistance in microorganism, exploring issues in immune system function, and a variety of other examples. In each example, they describe the incredibly complex interplay of different production and regulatory systems in organisms as simple as a bacterium and as complex as a human being. They provide ample documentation from the scientific literature in support of their position. The collaborate/compete model offered sometimes stretches to make a point. There is an underlying tone (whether the authors intended it or not) of some conscious decision-making capabilities that reside somewhere above the level of the individual gene or cell. Nevertheless, The Society of Genes gives us a challenging and informative look at the complex functioning of life processes.